The search for Amorphophallus elliotii can you help? We are searching for a plant native to Sierra Leone that has been lost to science for over 100 years. 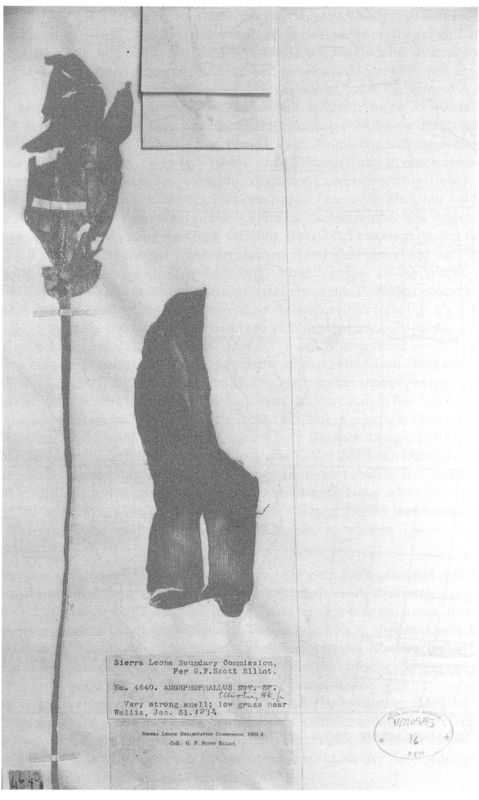 The last record (above) was is from 1892. The habitat is grass land under trees. Please read on to for more information and pictures. Some pictures that may help as a guide are posted below. A.elliottii according to plant description in book. species on the photos seem to grow in savanna. 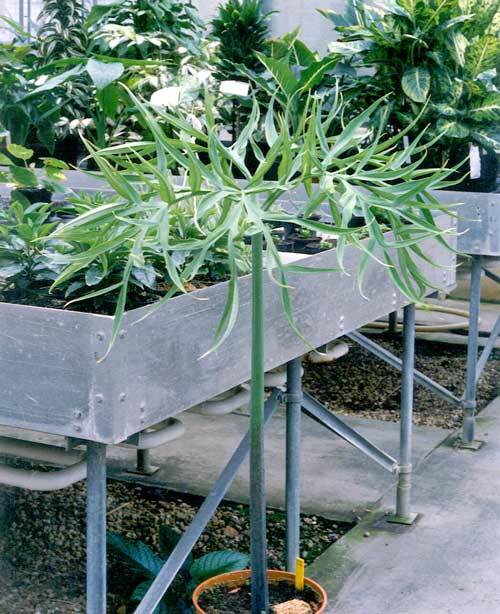 If you think you have seen this plant or have any usefull information on Wallia please contact Jaysbar. 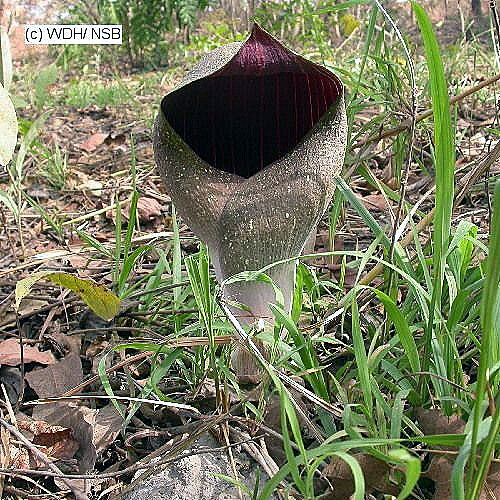 7 users commented in " The search for Amorphophallus elliotii can you help? " We went to the National Horticultural Department on Friday. When we described it the man there said yes this plant was in the north not only in Walla but also in Lunsar and pepel and Port Loko (all of which is grass land under forrest) in the Northern province. He said it only appears around March at the end of the dry season and after the ground is burnt. He said as children they used to go around hitting the plants down with sticks because they thought it looked too much like their “tools” and they didn’t like that. We are going to take a trip to the North next week and we will ask around and try and get more information. The person looking for this plant has given us some helpful information to put on the blog. He is hopimg to find other people interested in Amorphophallus. Please contact him directly through this page and we will post your reply. With permission here is our discussion to date. >is in the north of the country? grassland under trees, so that is a guidline too. >with the Conservation Society of Sierra Leone. >Please could we ask the question on our blog as well? 2 QThey appear around march at the end of the dry season when the ground is burnt. A Yes, that would be a correct time for blooming of Amorphophallus. Q The man telling us said that they used to beat them down with sticks when they were young because they resembled the boys “tools. Q We are going to the northern provinces on Friday and so we will make further enquiries. 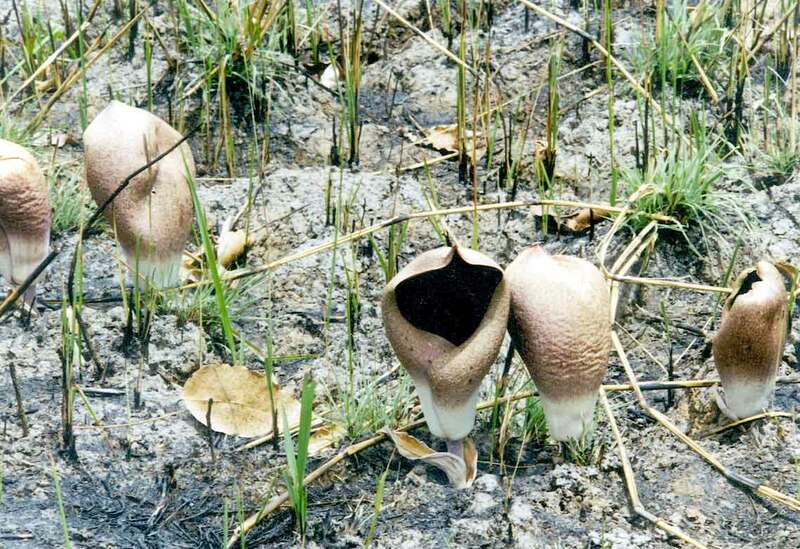 Q Do you think there may be more than one type of amorphophallus in Sierra Leone? A Yes. I have checked my books carefully and there are two more species in Sierra Leone (althorugh both collected a long time ago). I have attached picturesfor your consideration. Also there is always a possibility of new species to be found. If James could have a look at photos he may know if the plants that he saw when he was younger are similar to these in the photos icnluded. 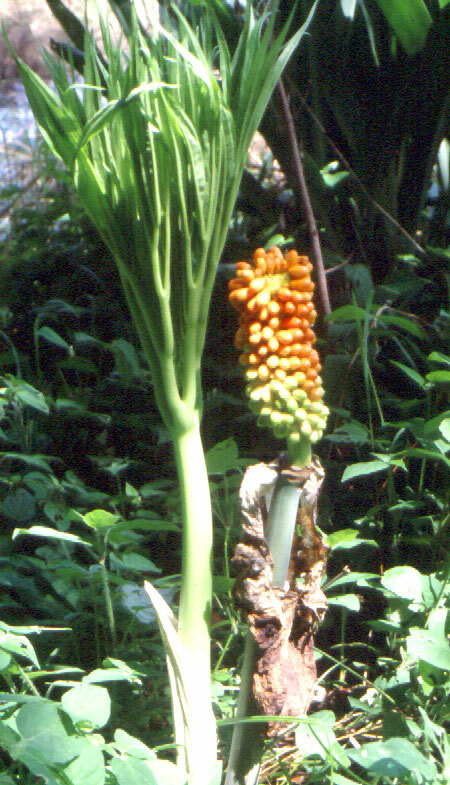 Amorphophallus elliotii finally among all the species resembles the most Amorphophallus dracontioides (photo included), which is said to be its closest realtive. Amorphophallus dracontioides has never been collected from Sierra Leone. Closest of course doesn`t mean thesame. BTW. Have you been able to locate any village or city with name of Wallia? The two places I have found wereWalia, not Wallia so they may be a different place. to others interested in amorphophallus. A If it suits you better we can communicate throughblog. 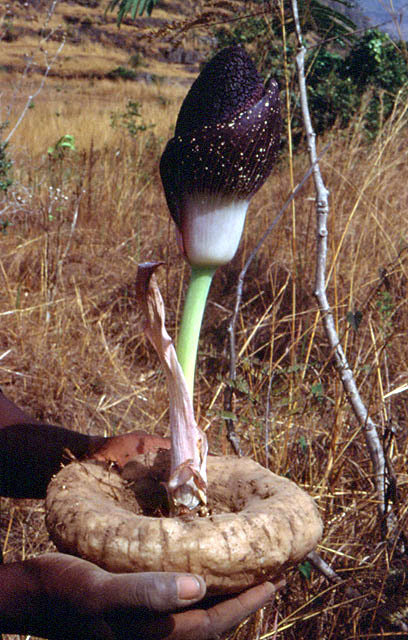 I am wonder if there are people interested inAmorphophallus in Sierra Leone? That would be great. We are still on the search actually and also we have consulted students of the University of Sierra Leone. Anyway we do hope to give you run down of our findings.Really the origin of the town is Bei Wallia. overlapping sides. The species is obviously very closely related with Am. exactly the rare echinate type, shared between elliottii and the other two. lanceolate (as in the photo’s you have in your weblog).